A new series of hardback, illustrated children’s books for three-to eight-year-olds—each centered on an animal family—bring gospel help and biblical counsel to families. The animal characters, colorful illustrations, and the real-life issues each animal family face will captivate children. The first three books address anxiety, anger, and failure bringing biblical help and hope to issues every child faces. The last page of each book contains information for parents on how God, in his Word, helps children apply biblical truth to specific issues. Together children and parents will be guided by the stories into meaningful conversations about living by faith in the details of everyday life. 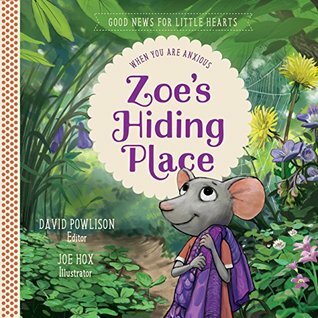 My thoughts: ZOE'S HIDING PLACE is a great book for children who have trouble paying attention and have anxiety issues. Zoe is lost in a world of fairy tales and tends to daydream instead of paying attention to her teacher and then she gets lost! Her safe place is in her bed under the covers, hiding from the world. Her parents try to encourage her and assure her that even if she gets lost God is still with her and will never leave her. They also encourage her to pay attention to her teacher on the field trip so she doesn't get lost. Zoe doesn't pay attention and does get lost but then she remembers the entrance and was able to find her class in time for lunch. I did have issues with the teacher's reaction -- but that was the only issue I had with the book. 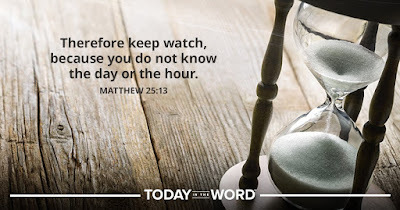 It had a great message and speaks truth, and will be great for parents or grandchildren or for Christian preschools or daycares.